Suffolk Laundry Services, Inc. will pay $582,000 to eight former employees to settle a sexual harassment lawsuit brought by the U.S. 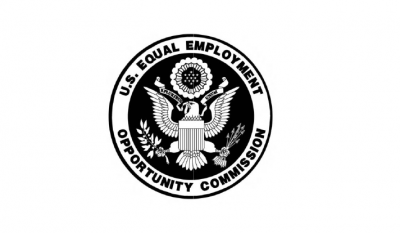 Equal Employment Opportunity Commission (EEOC). The Southampton, N.Y.-based commercial laundry service also agreed to a four-year consent decree barring discrimination, instituting new procedures, and mandating training on sexual harassment to ensure that the kind of abuse that led to this lawsuit does not happen in the future. EEOC charged in its suit, EEOC v. Suffolk Laundry Services, Inc., that Suffolk Laundry's manager physically and verbally sexually harassed multiple women who worked at the facility. Over the course of several years, the manager regularly touched them on their buttocks, hips, and backs, forcibly kissed them and made comments about their appearance and body parts. EEOC litigated the case in partnership with LatinoJustice PRLDEF, who represented seven of the women who intervened in the lawsuit. The workers were all recent immigrants from Mexico or Central America who did not speak English and were largely unaware of their rights before they were put in touch with LatinoJustice PRLDEF. The consent decree resolving the case provides that, in addition to paying $582,000, Suffolk Laundry will adopt new procedures to prevent sexual harassment and will train its managers and staff on identifying and preventing sexual harassment and retaliation. The policies and staff training will be available in Spanish. EEOC will monitor Suffolk Laundry's compliance with these obligations and Title VII of the Civil Rights Act of 1964 for the next four years. Adela Santos, the trial attorney from the New York District Office who is lead counsel on the case, added, "These women will now finally receive compensation for the abuse they suffered and we are confident that, with the consent decree in place, no more employees will be victimized in the future." Kevin Berry, the director of EEOC's New York District Office, said, "It took great courage for these women to come forward and participate in this case. We hope that others know that we will continue to protect the rights of vulnerable workers."